I really enjoy delivering presentations. My style is constantly evolving, but there are a few elements that will probably not change, I differ from the majority of my colleagues as I firmly believe that “traditional” presentations lack effectiveness. 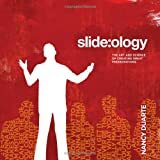 Presentation Zen (Garr Reynolds) is a general guide to delivering presentations, Slide:ology (Nancy Duarte) is more focussed on the slideware. Both are excellent reads! This is well worth 5 minutes of your time…. Great job, you can create even better PowerPoint presentation using animated PowerPoint templates http://www.pptstar.com/powerpoint/animated/ this is great solution to make quality presentation faster. Try to and I'm sure you'll like it. Thanks a lot I used your article when I write my English paper for me, and i passed on my presentation, thanks again. Thank you for the excellent article. I also use these five rules in my work with presentations. The specificity of my job is that a good presentation for clients, helps to better understand what we are doing, and for what they pay us money, and this is almost half the work. To make presentations look as bright and attractive as possible, I use ready-made powerpoint templates.